3 How Do Polarized Lenses Work? 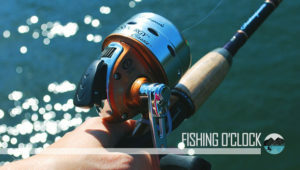 Fishing sunglasses are one of the most important accessories that you must always carry with you on a fishing trip. If you are thinking that your regular pair of sunglasses will serve the same purpose, you could not be more wrong. Best fishing sunglasses are specially designed to provide ultimate comfort to your eyes. Thus, allowing you to easily scan the surface of the lake or river in bright sunlight. The fishing glasses are also equipped to filter out the harmful rays of the sun while allowing you to see through the glare thrown by the water as it reflects the sunlight. Without a good pair of fishing sunglasses, you will simply be blinded by the sunlight’s intensity and the surface reflection. This will ultimately spoil your entire fishing trip. However, there is actually no way of testing out the sunglasses before buying them. You will be able to ascertain their advantages and disadvantages only when you use them during your trip to the lake or river. Because of this, it is important to have some idea about what features to look for before you actually go ahead and buy them. We have put together the fishing sunglasses reviews. This will give you a fair bit of idea of what the best fishing sunglasses offer. These are one of the finest pairs of fishing sunglasses that you can buy in the market. The Oakley 009096 sunglasses has a beautifully smooth and original look. The sunglasses block out 99% of the sunlight’s glare. Additionally, they also filter out all the harmful rays of the sun that interfere with vision while fishing. The UV protection of plutonite lens material filters out 100% of UVA/ UVB/ UVC& harmful blue light up to 400nm. Also, an optional lens comes with an additional protective layer of Iridium coating that tunes and balances the light along with reducing the glare. The sunglasses have a pretty stylish look with metal accents. The lightweight, stress-resistant O-matter frame material of the sunglasses makes them extremely comfortable wear. These sunglasses are also designed with the iconic Three-Point-Fit which holds the lenses in the precise optical alignment. What makes these sunglasses even better is that if you already wear power glasses, you can even get the Oakley Authentic Prescription Lenses which will improve your eyesight while giving you all the benefits of a fishing sunglass. Designed for sports fishing, the Costa Del Mar Fantail Sunglasses are the ideal choice for any angler. They are a slightly smaller version of Costa Del Mar’s popular Blackfin sunglasses but are no less popular owing to their usefulness in long fishing trips. The lenses are made of 580 Polycarbonate that provides high clarity in vision. Moreover, the impact and scratch resistant feature of the lenses and frame makes sure that you can wear sunglasses all day long. The lightweight frame of Costa’s co-injected bio-based nylon material also adds to the comfort of the wearer. The lenses’ design provides 100% polarization that instantly kills the reflected glare. That said, these sunglasses are best for bright and full-sun situations, particularly on open waters such as the sea or big lakes. What’s more, these sunglasses also help in reducing eye strain too. However, all is not so great about these Costa Del Mar Fantail sunglasses. Achieving a great fit is an issue with them and you might find them too small or too tight. These sunglasses are probably more suitable for those with small or medium sized heads. They might be a bit uncomfortable for large heads. On the other hand, one big pro of buying Costa sunglasses is that they come with a lifetime warranty. The KastKing Skidaway Polarized Sport Sunglasses are a square-shaped wrap-around style sunglasses. These are the best example of sunglasses built for style and comfort of the user. The polarized lenses block out 100% of the harmful UVA and UVB rays of the sun. Moreover, the lenses are manufactured by using advanced German and Japanese technologies. This makes sure that they provide the very best clarity in vision without any compromises. There is absolutely zero optical distortion which is the prime reason why you will never get a headache due to the glare of the sun. The sunglasses come with a special Grilamid frame that is not just extremely lightweight but is also resistant to damage from the UV rays. The frame is pretty durable. It retains its shape even after years of use and is perfect for wearing for a long duration at a time. The sunglasses come with a molded hard case as well as a microfiber pouch for cleaning and storage. Moreover, the KastKing’s lifetime total peace of mind return policy is an added advantage. The fact that the sunglasses work well in even medium light or partial shade makes them pretty versatile for use in other sporting activities like biking and golfing too. The Costa Del Mar Saltbreak sunglasses are one of the best sunglasses for polarization efficiency. The glasses have been designed with Costa’s superior 580G glass lens that is one of the highest tech lenses available in the market today. The glasses provide 100% protection from UV rays while being absolutely scratch proof. Needless to say, the visual clarity of these lenses is something quite extraordinary. What makes these sunglasses even more attractive is the fact that the lenses are prescription ready and are customizable as per your eyesight power. The Saltbreak sunglasses have a beautiful L shaped design that makes for a supremely comfortable fit. Also, with Costa’s co-injected bio-based nylon design, the glasses are extremely lightweight as well as durable. However, these sunglasses are slightly more expensive than other products of this range which may be a drawback. Moreover, the blue mirrored shade can also be too light for use as fishing sunglasses. We recommend going for a green or a grey shade for best results in bright sunlight. Smith Optics is known to manufacture some of the best sunglasses that have often turned out to be even better than the designs by popular brands like Costa and Oakley. The Smith Optics Guides Choice Sunglasses are a medium to large fit sunglasses with a wide coverage ratio. The lenses are designed with Tech Lite Polarized glass TLT lenses that are anti-reflective. Thus, providing you with sufficient protection from the surface glare of the water bodies. The hydrophobic lens coatings also make sure that you have a clear vision without any distortion in bright sunlight as well as low light. The frame is also pretty decent with special hydrophilic Megol nose and temple pads along with stainless steel spring hinges. 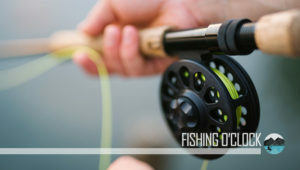 However, some users have reported that though the sunglasses are ideal for big heads and have much wider coverage than any standard pair of fishing sunglasses, they are not entirely comfortable to wear. In any case, the optics for these sunglasses are close to perfect. The vision quality through these lenses is much clearer, lighter and stress-free than most other fishing sunglasses in the market. Considering that, the Smith Optics sunglasses sure do give a lot of value for money. Maui Jim may not be a name as popular as that of Costa Del Mar or Oakley, but they design some of the best sunglasses that you can have in your fishing kit. The polarized Plus 2 lenses work towards protecting the eyes from the harmful UV rays while also minimizing the glare and surface reflection of water bodies. In fact, Maui Jim has also earned the Skin Cancer Foundation Seal of Recommendation* as an effective UV filter. They also reduce the high-level visible radiation without removing visible blue colors. However, this is not all that these lenses do. Unlike other sunglasses, the Maui Jim sunglasses also enhance the color, clarity, and detail. They provide perfect visibility for fishing purposes. The lenses are also scratch resistant and completely water-proof. The frame’s design comprises of injected nylon keeping it lightweight and extremely comfortable for extended daywear. Many users have praised their size and shape simply because they have such a versatile design that they are comfortable for anyone to wear irrespective of the size and shape of the wearer’s head. The lens color is a neutral grey, which is the best shade for reducing the glare in bright sunlight and therefore makes for ideal fishing sunglasses. Fishing sunglasses are a necessary accessory for your fishing trips. But choosing the right fishing glasses is no easy task. The biggest problem you will face in buying fishing sunglasses is that there is no way to know whether they will serve your intended purpose or not. You may try on a pair of sunglasses that may look good on you. But how do you know that they will provide the kind of clear vision and protection from glare? Our buyer’s guide will help you in making an intelligent choice so that you get the kind of fishing sunglasses that you want. The frame’s design and shape are single-handedly responsible for whether the sunglasses will be comfortable or not. The frame should be flexible so that it fits the natural contours of your face. It should also be sufficiently durable so that it is damage-resistant from prolonged exposure to the sun. Most importantly, the frame should be lightweight so that it is comfortable for fishing trips that can last all day. The lens should be wide enough to cover the peripheral vision along with the main vision of the eye. This ensures the maximum possible protection for the eyes from the harmful rays of the sun. Moreover, lenses which have slightly curved edges such as wraparound style lenses also protect the sensitive eyes around the skin. These lenses also provide more clarity in vision. You can go for either regular lenses or polarized lenses. While the regular lenses are decent for reducing the glare and protecting your eyes from the UV rays, they fall short when it comes to providing crystal clear vision that is required for fishing trips. With polarized lenses, you will have an extremely clear vision such that you will even be able to see beneath the surface of the water to spot the fish. Obviously, fishing sunglasses with polarized lenses should be preferred over the traditional lenses. Dark lens colors like black and grey are ideal for fishing sunglasses for use on bright sunny days or when you are fishing during a sunrise or sunset. On the other hand, if you plan to have more versatile sunglasses such that you would need to use them in shaded areas or medium lights too, then you can go for lenses with yellow, pink or red tints. Lenses made of polycarbonate are traditionally preferred because they resist impact and provide a much clearer view. However, they are not scratch resistant because of which they should be used only on lazy fishing trips. If your fishing trips turn out to be quite intense, it is best to go for polyurethane lenses that are scratch resistant apart from being lighter and more durable. The UV protection is something that is present even in regular sunglasses and its importance in fishing sunglasses cannot be emphasized enough. Make sure that the sunglasses you are buying have a UV400 or higher coating. Additionally, they should be capable of filtering out both UVA and UVB rays. It is next to impossible to keep your sunglasses absolutely protected from any kind of impact. Minor accidents are bound to happen on fishing trips. You wouldn’t want your pair of sunglasses to be so fragile such that they break even when on the light impact. Make sure that you go for a scratch-proof lens. We also recommend choosing a lens with a thick polarization coating which increases its durability. Fishing sunglasses are generally available in two variants – glass lenses and plastic lenses. Both the kind of lenses are quite popular and have their own pros and cons. Glass lenses are generally considered to be of better quality because they provide much more clarity in vision and are also scratch resistant. However, they are also quite fragile and will shatter upon impact. Moreover, as compared to plastic lenses, glass lenses are much heavier and may become uncomfortable if worn for too long. On the other hand, plastic lenses are much lighter because of which they are able to fit into frames of all shapes and sizes. They are also much more durable as they wouldn’t shatter if you accidentally drop them. Moreover, you can also get polarized tints with plastic lenses. Though plastic lenses do have their own disadvantages too. To name a few, they are not scratch-proof and are optically inferior to glass lens, but they are still the preferred lens because of their durability and versatility. When you are choosing the shade or tint of color that you want in your fishing sunglasses, you will have to consider the time of the day that you have chosen for your fishing trip. If you have chosen to go out fishing early in the morning or in the evening, you would do well with lighter tints like copper or yellow, which will subtly diminish the particular kind of glare given off, by the setting and rising sun. Whereas, if you are planning to go fishing in the middle of the day when the sun is at its brightest, you should choose darker tints like grey, blue mirrored or green mirrored. 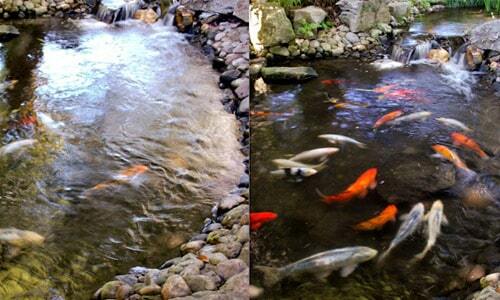 The choice of color also depends on what kind of water body you have chosen for your fishing trip. For large open water bodies like lakes and oceans, darker shades would be more suitable while for smaller, secluded ponds or quiet rivers, lighter shades are better. When looking for fishing sunglasses, make sure that they have polarized lenses. These lenses are responsible for crystal clear vision which lets you clearly spot the fish under the water and across choppy waters. The polarized lenses also minimize the surface glare and provide a much wider scope of vision. For fly fishing, we recommend yellow tinted lenses as they filter out much of the blue light. This means that when you are surrounded by the endless blue of the ocean on your fishing trip, these lenses will enhance your vision. They will also come in pretty handy if you happen to encounter dense fog or if the day suddenly turns overcast. These lenses are great for fly fishing. This is because they provide much greater color clarity on bright sunny days as well as during the evening and morning hours. Smokey lenses also minimize the overall brightness of the sun and keep your eyes stress free. If you are planning to go fishing in sandy lakes or stream beds, amber colored lenses would be a great choice. Such lenses will help you penetrate the muddy water to spot the fish below. The lenses are also a great choice to carry along when going fishing on a cloudy day. They help in differentiating between the steely blue of the sky and the lighter color of the water surface. Polarized lenses are highly recommended for avoiding the glare of light that occurs when the sunlight reflects off the surface of the water. But do you know what is so special about these lenses that makes them so effective in minimizing this glare? The glare from the surface of the water is because of the reflected light in horizontal lines. Polarized lenses contain an additional layer of a special chemical. It absorbs these horizontal lines of light and does not let them pass through the lens. Because of this feature, a person who is wearing polarized sunglasses would not have the glare hit his eyes. The only way to reducing the glare of light produced when light reflects back from the water’s surface is by using polarized sunglasses. Since vast stretches of water bodies tend to produce a lot of glare on any bright and sunny day, polarized glasses are highly recommended for a fishing trip. Polarized sunglasses filter out 99 to 100% of the harmful UV rays of the sun. Most polarized lenses would have a UV400 rating which means they can filter out wavelengths up to 400 nm. Polarized sunglasses improve the level of contrast which means that you can clearly see through reflective surfaces. As compared to regular lenses, polarized sunglasses give you a more realistic picture of the world with enhanced colors and a lighter vision in spite of dark tinted lenses. With polarized lenses, you may face some trouble while driving a car. These lenses can make you see the tempering patterns on the automobile mirror. It may also be difficult to use a smartphone or look at any other screen. Polarized lenses prove to be less durable in coastal areas. This is because the high level of humidity causes the chemical layer of the lenses to crack and peel. Polarized lenses tend to cost significantly more than regular sunglasses. Though polarized lenses are recommended for fishing sunglasses, be prepared to invest a good amount of money in buying these lenses. What kind of fishing sunglasses is the best? The fishing sunglasses provide utmost clarity in vision and are comfortable enough for day-long wear. Most fishing sunglasses come with polarized and scratch proof lenses along with lightweight frames. These are some of the recommended features for good fishing sunglasses. Can I get fishing sunglasses with prescription lenses? There are many sunglasses brands that allow you to replace the factory lenses with prescription lenses. This means that if you wear spectacles or contact lenses on a regular basis, you can still enjoy all the benefits of fishing sunglasses without compromising on your eyes’ vision. Are fishing sunglasses good for health? Fishing sunglasses are useful not just for providing a clearer vision and reducing the glare in bright sunlight. But they are also a must-have accessory for preserving your eyes’ health. Fishing sunglasses filter out the harmful UV rays of the sun. Additionally, they prevent them from reaching your eyes and the sensitive skin around your eyes. How to Clean Polarized Glasses? To check out in-depth fishing backpack reviews of all the latest models head over to our buying guide. We hope that we have been able to convey that choosing a good pair of fishing sunglasses is just as important as choosing the right fishing reel for your needs. 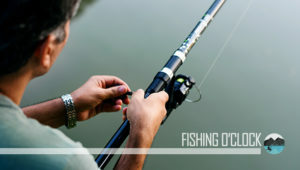 This is one accessory that you simply cannot do without on any fishing trip. Whether you are a regular angler or a seasonal fisherman, fishing sunglasses will definitely make your trip much more comfortable and fruitful. Buying the best fishing sunglasses can turn out to be a tricky business. Especially if you are not aware of what features you should look for. Moreover, you must also have some idea about different brands of sunglasses. This will help you in comparing different models and find the best value for your money. 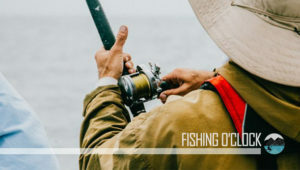 We hope that this guide with fishing sunglasses reviews would have helped you in selecting the right sunglasses for your needs so that you are fully armed and ready for your next fishing trip.